Hotel Terra is not available for online booking. Please submit an inquiry or call our agents to get pricing and availability information. 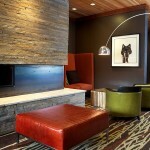 Hotel Terra Jackson Hole offers luxurious and serene lodging in Jackson Hole, incorporating stylish, vibrant design with the comforts of home. With plentiful, expansive windows, all of our lodging accommodations have ample daylight and views, bringing the stunning natural environment of Jackson Hole, Wyoming into your interior space. You will enjoy beautifully inlaid gas fireplaces, contemporary western design features and rich material tones and textures. 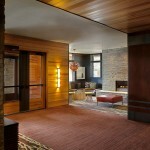 Our eco-friendly hotel creates superior interior air quality, efficient temperature management, well insulated rooms, smoke-free environment, chemical-free cleaning products and state-of-the-art ventilation, collectively creating a healthier, restorative environment for you during your stay in our Jackson Hole green hotel. Comes complete with a fully appointed kitchen, generous living area with inlaid gas fireplace, 42" LCD, Hi Definition TV, dining table and chairs, and a custom designed wall bed. Each Urban Studio also includes oversized sliding glass doors that open to a furnished terrace. 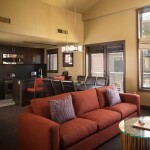 Terra Junior Suite offers Masters bedroom, complete with a fully appointed kitchen, generous living area with inlaid gas fireplace, 42" LCD, Hi Definition TV, dining table and chairs, and a queen sofa-bed in the living area. 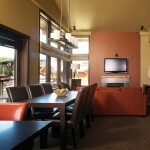 Each Terra Junior Suite also includes oversized sliding glass doors that open to a furnished terrace. With a spacious entrance foyer, 9 foot high ceiling, and double vanity bathroom the Terra Guest Room offers your choice of king sized or two queen sized beds. 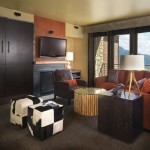 The Terra Guest Room also includes a 32" flat screen Hi Definition TV, complimentary wireless access, the "Terra Bed" and oversized picture windows that provide breathtaking views of Jackson Hole, Wyoming. • Bathroom features a “Rain Shower" invigorating experience as well as a relaxing Zuma “Airbath" tub, double vanity, and either tile or slate flooring with in-floor radiant heat • Equipped with 32" Flat panel High Definition televisions • Refrigerator, Coffee maker and" laptop" size personal safe in room, as well as a dining area for two • Custom, all natural, wool carpeting • Oversized picture windows allowing plentiful natural light to fill the room. 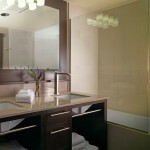 • Bathroom features a spacious entrance foyer and double vanity bathroom, offers you two queen size beds. s a “Rain Shower" invigorating experience as well as a relaxing Zuma “Airbath" tub, double vanity, and either tile or slate flooring with in-floor radiant heat • Equipped with 32" Flat panel High Definition televisions • Refrigerator, Coffee maker and" laptop" size personal safe in room, as well as a dining area for two • Custom, all natural, wool carpeting • Oversized picture windows allowing plentiful natural light to fill the room. An indulgent combination of the components found in the Urban Studio and Terra Guest Room, the One Bedroom Suite brings together high end conveniences of home, including furnished kitchen and terrace, with the added space and amenities of a luxury hotel room. This elegant combination is ideal for small families or couples looking for a little more living space. 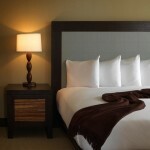 Adding a second complete guest room to the one bedroom suite, we've created the two bedroom suite. 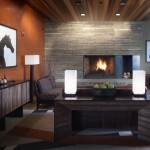 This suite offers the ideal Jackson Hole lodging option for family vacations or a friends' getaway. 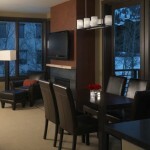 The ultimate in Jackson Hole luxury lodging, the Three Bedroom Suite brings together a combination of three double bedded and king bedded guest rooms, an expanded kitchen and dining area, a large furnished terrace, and picture windows across the end corner of the living room. 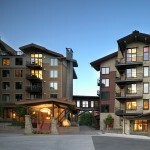 Hotel Terra is pleased to offer a number of luxury resort condominiums and homes in Teton Village. These beautiful condominiums and homes are exquisitely appointed, and as part of your package you will receive full access to the pool and fitness facilities at Hotel Terra, as well as their award-winning organic spa, Chill Spa. 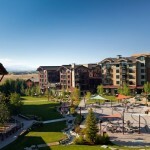 Overlooking Rendezvous Mountain and the Teton Village Commons, these luxurious 1-3 bedroom residences provide1300-2,200 square feet of living space for your vacation. Featuring a fully-furnished chef's kitchen with dining, these residence boasts fine features throughout, including granite counter tops, stainless steel appliances, gas fireplaces, spacious living area, large flat screen TVs, and a washer and dryer for your convenience. On-site underground parking is included, along with full access to Hotel Terra's spa, pool and fitness facilities during your stay. Elegant 3 bedroom, 3.5 bathroom homes, located in the prestigious small development called The Timbers at Granite Ridge. 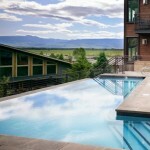 These beautiful Jackson Hole rental homes come with full access to all amenities and services offered at Solitude Spa. 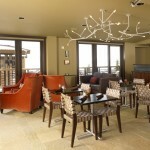 Boasting unparalleled luxury and stunning mountain views, they are located at the base of the Jackson Hole Resort with direct ski access, and just one mile from Grand Teton National Park. 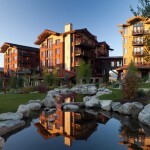 These luxurious homes are sure to make your stay in Jackson Hole a memorable one. We offer you delectable tastes that both nourish and surprise, with sophisticated menus and healthy selections presented in lively, inviting spaces. 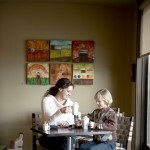 The Terra Café is a warm and vibrant restaurant to enjoy breakfast, coffee, tea, and savoring the laid back mountain lifestyle. While Hotel Terra does not offer 24-hour room service, you can order breakfast and lunch from Terra Cafe and dinner from Il Villaggio Osteria. Il Villaggio Osteria is an Italian trattoria-style restaurant serving lunch and dinner, with outdoor dining and a generous wine list loaded with rare vintages. 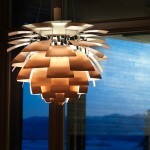 For those evenings when you want to explore, we can suggest some other excellent places to eat in Jackson Hole, Wyoming. 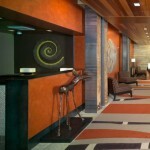 Our concierge can assist with any recommendations and reservations. 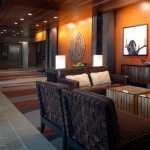 The elegant, intimate Chill Spa floats six floors off the ground, on the top floor of Hotel Terra Jackson Hole. Every element of our Wyoming spa, from the inspiring views from the outdoor hot tub to the organic, restorative treatments, reminds us that renewing our spirit and bodies begins with connecting to our natural world. 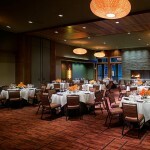 Jackson Hole is truly one of the most spectacular settings in the U.S. to host your conference, meeting, special event or wedding. Hotel Terra is located just one mile from Grand Teton National Park and at the based of the world-renowned Jackson Hole Mountain Resort. Hotel Terra offers nearly 5,000 square feet of banquet space and meeting rooms to host your guests in luxury, in our Silver LEEDS Certified environment. Our beautiful Murie Ballroom doors open to the Village Commons lawn where you will enjoy great views of Rendezvous Mountain and the Aerial Tram. 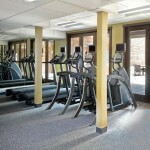 It's the perfect breathtaking locale for your event, meeting or wedding. 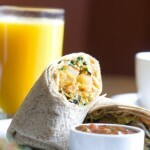 Let our highly-trained and experienced catering staff assist you in making your event seamless and memorable.